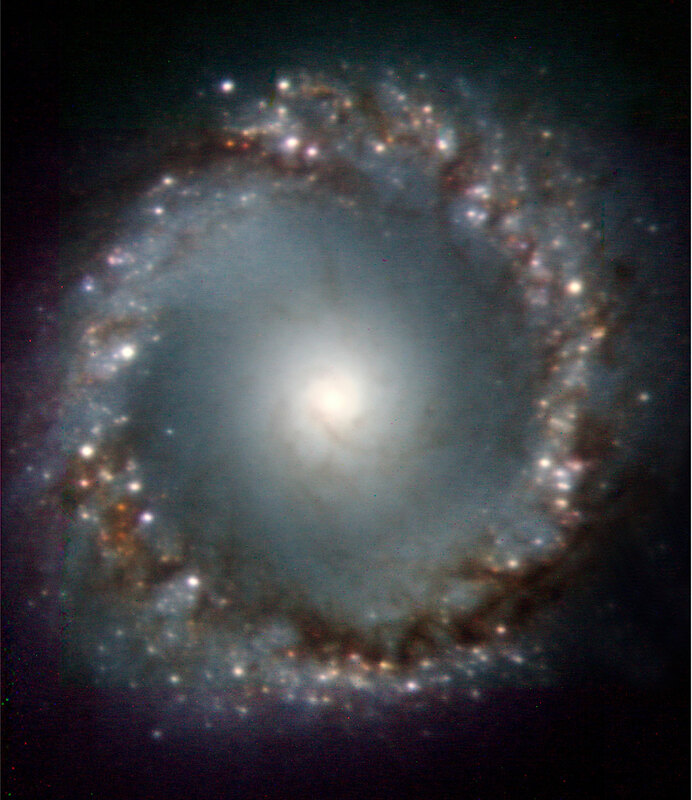 Colour-composite image of the central 5,500 light-years wide region of the spiral galaxy NGC 1097, obtained with the NACO adaptive optics on the VLT. 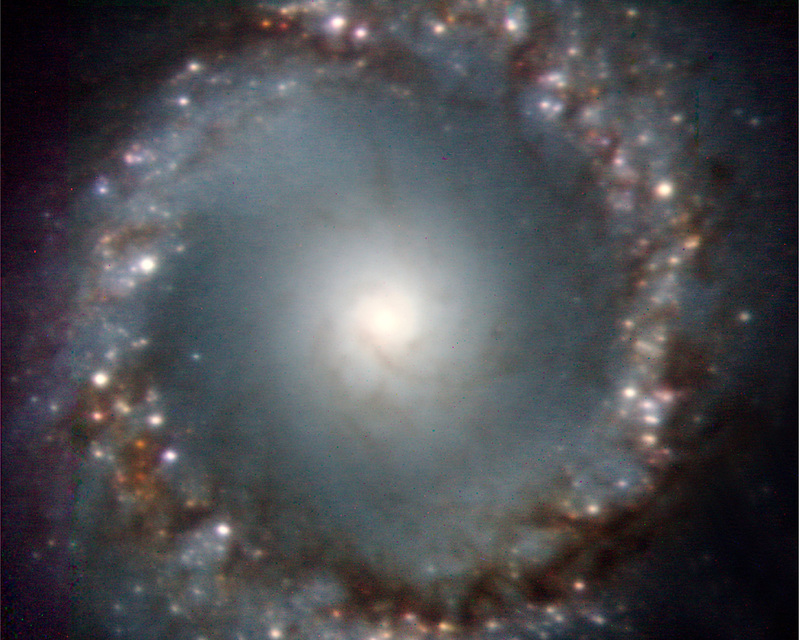 More than 300 star forming regions - white spots in the image - are distributed along a ring of dust and gas in the image. 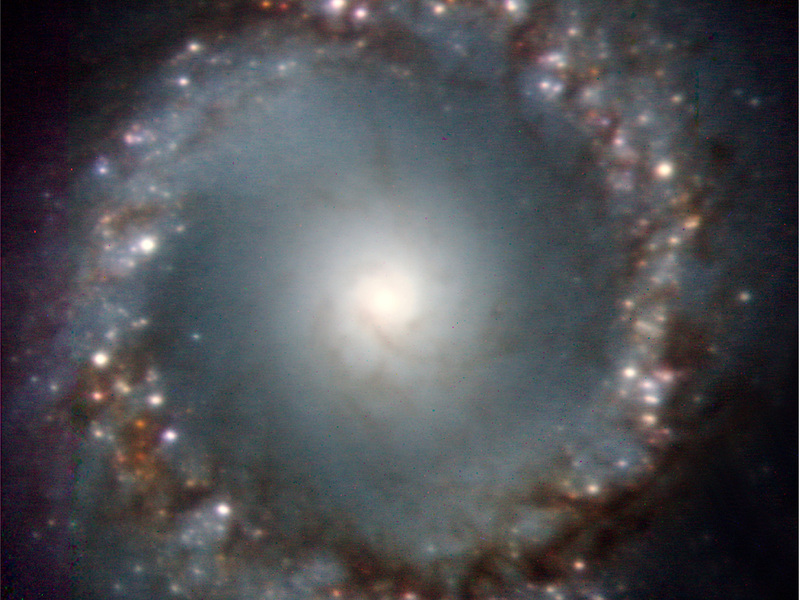 At the centre of the ring there is a bright central source where the active galactic nucleus and its super-massive black hole are located. 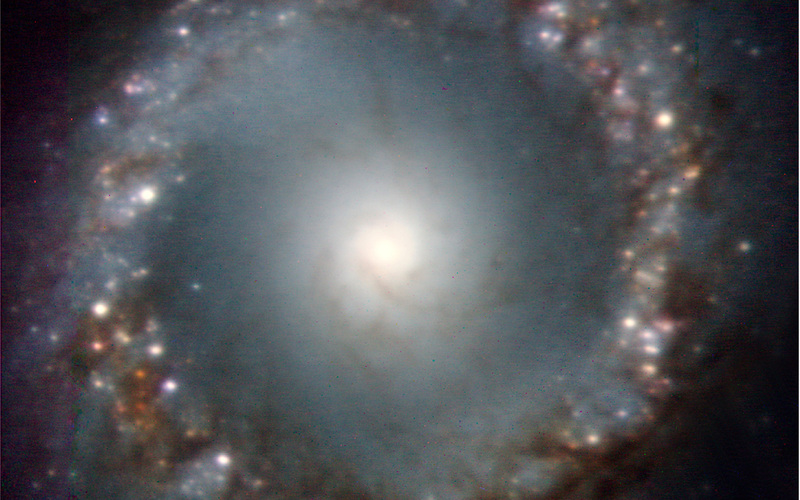 The image was constructed by stacking J- (blue), H- (green), and Ks-band (red) images. North is up and East is to the left. The field of view is 24 x 29 arcsec2, i.e. less than 0.03% the size of the full moon! Position (Dec): -30° 16' 26.80"